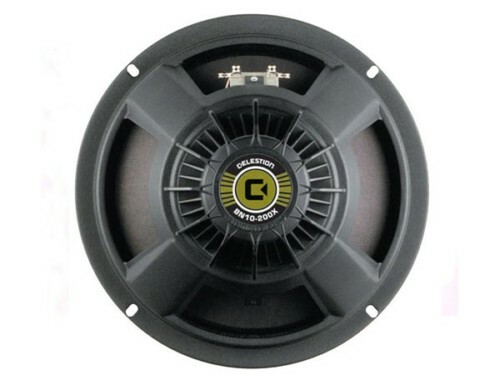 The Neodymium 10 Inch BN10-200X Green label bass speaker gives 200 watts power handling with the same classic rounded rock sound with the tight low end definition that is associated with Celestion drivers, with a more modern edge. This speaker is ideal for those rock players who want a bit more top end detail with a crisper bass but retains the traditional warm rock sound. It works well for funk players who like to slap and pull and does not sound over bright even when using an active bass. If like me, you turn off the horn in your 4 x 10 then this unit will give your cab a little more sparkle.